Bass Player Antoine Fafard To Release Second Album ‘Occultus Tramitis’ Featuring Former Frank Zappa, Jeff Beck, Mahavishnu Orchestra, King Crimson Members! Frank Zappa, Jeff Beck, Mahavishnu Orchestra, King Crimson Members! London, UK – Much to the excitent of music aficionados across the globe, the second solo album by composer and bass player Antoine Fafard, ‘Occultus Tramitis’, will be released digitally on May 15 and on CD June 1, 2013. Featuring the contributions of a number of jazz-rock legends including Terry Bozzio (Jeff Beck, Frank Zappa), Jerry Goodman (Mahavishnu Orchestra), Gavin Harrison (King Crimson, Porcupine Tree), Scott Henderson (Tribal Tech), Simon Phillips (Jeff Beck, Toto), Chad Wackerman (Allan Holdsworth, Frank Zappa) and Dave Weckl (Chick Corea, Mike Stern), ‘Occultus Tramitis’ encompasses 11 tracks presenting almost an hour of exciting new music. Antoine Fafard’s recording career began with his band Spaced Out, who released their first album in 2000. By 2008 Spaced Out had recorded five studio albums, one live album and two DVDs, and had performed on international stages including Nearfest, USA in 2002 and Crescendo, France in 2006. In 2010, Antoine decided to begin recording under his own name, without the limitations of the band format. His first solo album, ‘Solus Operandi’, released in August 2011, features more than an hour of original instrumental music by Antoine, working with a total of 13 collaborators, including world-class performers such as Dave Weckl (Chick Corea, Mike Stern), guitarist Jerry De Villiers Jr and drummer Magella Cormier. ‘Solus Operandi’ was composed on electric fretless bass and classical guitar, after Antoine reacquainted himself with the guitar following many years focusing on the bass. Which brings us to 2013 and the release of Antoine’s highly anticipated new solo album, ‘Occultus Tramitis’. The music on ‘Occultus Tramitis’ differs between the tracks, and the fusion of influences that characterizes Antoine’s music means it doesn’t fall easily into a single style or genre. However, the album was composed as a complete work. Melodic aspects are beautifully realized by Jerry Goodman, who is featured on more than half of the tracks among odd time signatures, multiple modulations and rhythmical illusions. There are exceptional performances from all Antoine’s collaborators, including spectacular solos. ‘Occultus Tramitis’ is an independent release presenting exciting and powerful new music for any fan of instrumental jazz-rock, progressive and fusion music. 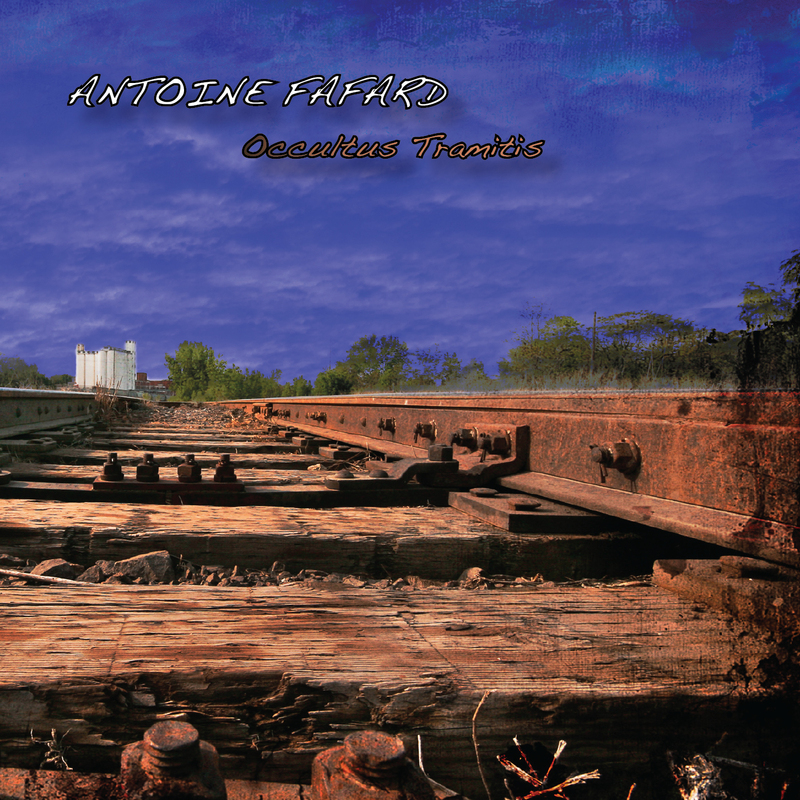 Antoine Fafard’s ‘Occultus Tramitis’ can be puchased on Amazon.com, itunes and most online music stores.